I have been going to Benefit in Meadowhall for a wax and tint on my brows for around 18 - 24 months now. My best friend introduced me to their brow bar whilst we were at University together, now I don't go anywhere else to get them done. All the girls know me now (it also helps that I work in the same department store anyway so I always see them in the staff room or on the shop floor and always say hi!) and know exactly how I like my brows so I don't have to say anything, we just chat away about anything and everything whilst they work their magic! I used to go to the Brow Lounge, which is a threading place - but I had a disaster there and I didn't like it. Basically, she made my brows uneven (so one start further back than the other) and forgot to trim a brow, so ones was long and one was short! I also don't like how they wipe your powder/pencil off but offer nothing to conceal the redness or to replace the product they wiped off so you have to walk around with a glowing red forehead after they ripped all your hair out. Anyway, I ramble! On to Benefit! The first few times I went, I just had a wax but Christina kept suggesting that I get a tint as well (I am naturally a blonde, as you see below, and have dyed brown hair so things didn't really match up and I rely heavily on powder). I kept saying no, as I just had these visions of me walking out with a massive thick dark brow, now don't get me wrong - each to their own and I have nothing against that but it's not for me. But eventually I took the plunge to have tints as well - and I haven't looked back since! So this week I'm starting a new series that is going to run all week. As you may have noticed around the bloggersphere - thanks to the new make-up Palette from Sephora and the endless amount of competitions to win tickets to the European premier floating around blogs over the past week - there is a new "cult" movie coming out, Divergent. It has already been released last week over in the US (on March 21st) and is due to be released over here in the UK next week (April 4th) so I decided, the week between the two who be the perfect time to do a series! Now, I really do hate to be one of those "I knew it before it was famous" type of people. But I have loved the books for over a year now, so when people who say they love the film when they have only seen the trailer (yes, I have seen people do this!) and or don't even know about the books after declaring they are big fans of the series it really grinds on me. So, I bring you this series, over the next week I will be posting make-up looks from this book and the factions that feature in the book (I will explain what they are shortly), so expect a post every day this week - starting with the books! And in my opinion, the books are - and this is always the case - better than the film. Because of all the dyes/bleaches I had used in the past my hair was in VERY bad condition - dry, strawlike and brittle and so it has taken me 4 - 5 years, and now my hair is in excellent condition - the best it has ever have been! So I refused to put any more bleach on it. I googled, and came across ColorB4 - a colour stripper that contained no amonia or bleach to kill your hair, it was designed to strip all artificial colours out of your hair (if you have build up of many dyes/dark dyes like I did, then it would take as much out as it could) and restore it to as-near to your natural colour as possible. Unless you have lightened/bleached it, you can't reverse those effects as you have taken the pigmentation out of your hair. This is an eyeshadow I have had for quite some time now, and was the second MAC eyeshadow I ever bought (after Folie - review here) and it was one I was wanting for so long, because every time I saw it swatch or in a make-up look I just fell in love with it so it just had to be mine eventually. 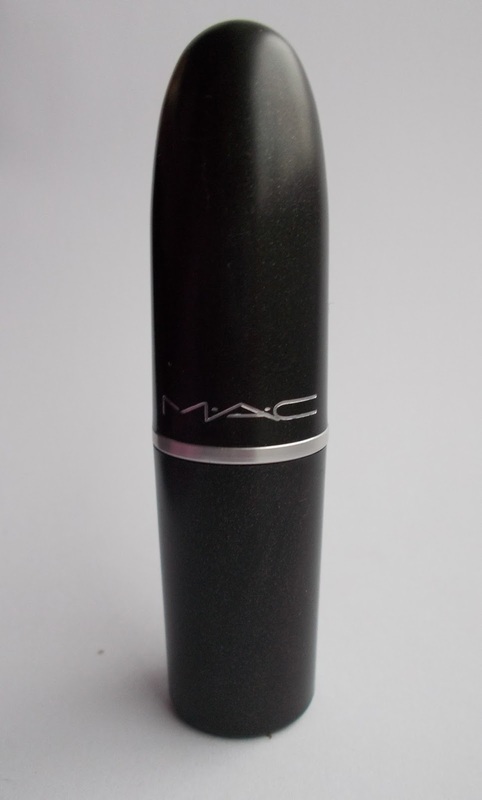 Just like all MAC products, Cranberry comes in a sturdy black cardboard box with white writhing. Then eye shadow itself comes in a sturdy plastic case with a clear lid so you can clearly see the shade so you don't have to check the bottom of every eye shadow to find your shade, which is always handy! The eye shadow closes with a satisfying click so you know the eye shadow is safe and not going anywhere - meaning if you need to take this out and about with you for any touch ups you may need, you know that it is going to be safe in your bag and not cause any unwanted eye shadow explosions all over your things! As I said in this post about the Pretty Edgy palette when you spent £6 or more on MUA products in Superdrug you got a free a gift - a Colour Blast eyeshadow tint. There were four colours to choose from (light pink, beige, light brown or dark brown). I went for light brown which was named Bring it Back. The product comes in crayon formula which you twist up to reveal more product, I much prefer this kind of crayon rather than sharpening! The shade name is only on the plastic wrapping you peel off (you know the stuff, the clear plastic that destroys nails varnish as you try to pry it off) which is annoying. MUA are getting better with naming their products with names rather than numbers and putting it on items, but they must have forgotten about the eyeshadow tints which is a shame. It's those small details I like and appreciate. Hello lovely ladies! As you saw in yesterdays post - it was my blog's second birthday, and on this majestic day - Von Dork reached 100 followers on bloglovin! You have no idea how happy I am, it means the world that people genuinely want to read my little blog in the corner of the internet. So, what better way to celebrate than with a Giveaway?! Now, let's get on to the good stuff! So, this is the little baby that I spoke about in my recent February Favourites post. This palette is from the new selection from the Luxe range that we can see start to make it's way into Superdrug stores. (You can see my reviews on products from the Luxe range here) - I believe it started to make appearences in January this year, however, my Superdrug stores likes to sell out of things super quickly, so I have only just discovered this little gem of a palette! This new palette is named the Pretty Edgy palette and is in a hard black plastic case with gold studs on - I think MUA thought 'oh, we'll stick studs on - that will make it edgy!' which is something I see quite often. It is a very sturdy case and it does take a bit of force to open it, so if you do need to take it on your travels with you - you don't need to worry about your bag getting covered in all different colours! I know with the MUA Luxe range, they have been trying out new packaging and are running with a black and gold theme - for the other products in the range, this works. But with this palette the black plastic with the gold studs, honestly to me make it feel a bit cheap as I see this kind of thing in places like Primark. Don't get me wrong, I adore Primark, but when you are a brand trying to make yourself and your products seem more expensive than they are - such as what MUA are/have been doing with the Luxe range - is this really something you want with your product? My little blog turns 2! Wow! 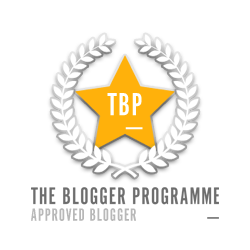 My little blog is officially 2 years old today. I can't believe how time flies. 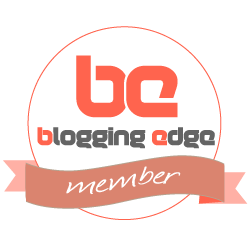 It feels like only yesturday I started blogging. Von Dork hasn't been around for 2 years, but this blog has under different names. I started this blog off as Cherrybomb beauty. I don't know why I named it that, and after a while I hated it. That blog lasted from March 12th 2012 until September 2012. The posts are still on this blog if you want to have a look - just use the blog archive at the side. 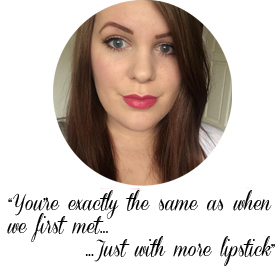 Then in February 2013, I revamped it and Roseberry Lips was born. I chose that name because it, at the time, had meaning to me. Rose was my nans name who sadly passed away in 2010, Berry tones were my favourite colours - and Lips because i'm definitely a lipstick girl. Roseberry Lips lasted February 2013 until April 2013.. I lost mojo. I used to scheduled posts a month in advance, so eventually I forgot as the month went on and I kept forgetting to post and slipped into the mentality of "it's been so long now, it can wait another day" ...and that day never came. 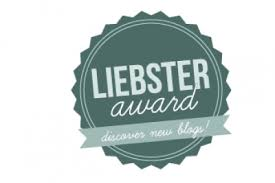 Again, all the posts are still on the blog so check them out if you want too. The future of the Sinful Colors series. Recently, I posted about my decision to change how often I post my Sinful Colors series, and i'm back! Over the weekend, since I made that post I have been thinking more and more about the series, and honestly - I dreaded having to do another post about it! I don't know why, but i've fallen out of love with the series and so have decided to end it for now. When I started blogging, I swore to myself I'd only post what I wanted to post and if I didn't like it - it would make the blog. I loved the series but over time, I just found it getting repetitive and every post started sounding the same. So I have made the decision to end the series. That doesn't mean I won't review any polishes by the brand ever again - just not for a while as I feel I need a break. I do, however, having an exciting mini series coming up - so look out for that over the next week or so! This post is heavily influenced by Sunday's bloggers chat, which had the topic of photography - during the chat quite a few fellow beauty bloggers were amazed at how I took my photos and said that they had to try it too! So, here are a few tips that I thought I would share with you. I am by no means a photography expert, but I studied photography for three years and have had plenty of cameras in my time so have gathered up some knowledge over the past 8 - 10 years that I have been taking pictures for - so I thought I would share them. This topic took over the majority of the chat - many people saying they wished for a better/more expensive camera so they could get amazing photos for their blog. Every single time I replied with the same answer; it's not the camera that makes a picture good. It's the lighting/composition/background of the photos that make them good. Let me show you the cameras I use. 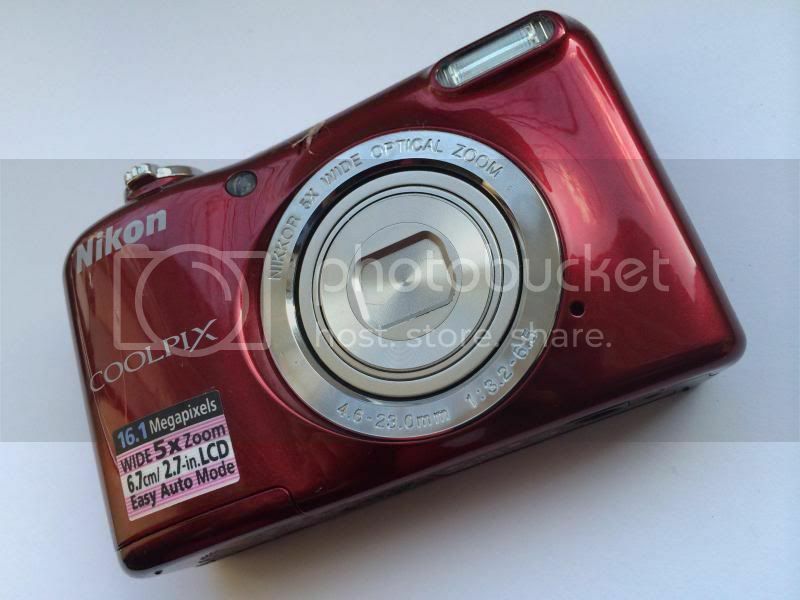 I use a simple point and shoot camera, a Nikon Coolpix camera with 16megapixels and 5x Zoom - The best part? It cost £40 from Argos. It runs off 2xAA batteries, so if I take it on the go I don't have to worry about it running of of power, I can just pop some new batteries in. I use a 16gb memory card which is more than enough storage. I know, I know, I'm a little late on the ball for this favourites.. but i've been super busy with work. I think i'm turning into a little workaholic! Anywhere, on we go! Collection Fast Stroke liquid eyeliner. I think I could have included so much more, but I restricted myself and decided these have been my most reached for things this month. Apologies for the stock image! 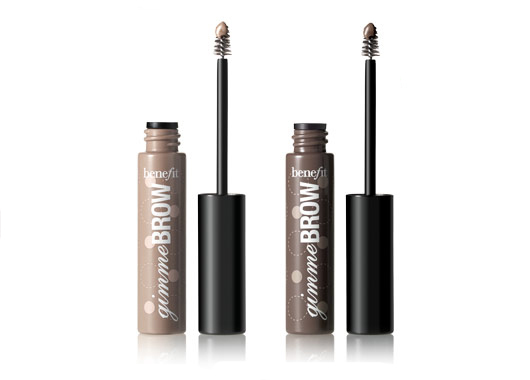 I don't own this product, but tested it out recently whilst I got my eyebrows waxed at Benefit, so I wanted to do a brief look at it after my first experience with it. The lady who did my brows suggest the Gimmie Brow to try out once she had finished shaping and making my eyebrows look fab. She explained that it is a new product and that it helps create a more natural feel to your brows (I felt quite offended! Did my brows look unnatural?! I don't think so!) she also said it helps your hairs grow. However! Walking past today, I heard the manager doing a demonstration about them to a group of ladies and she explained that the product wasn't actually for making your hairs grow, and it wasn't designed for that and there are no promises it will help it grow. I know some people absolutely hate celebrity perfumes with a passion. But, personally, I don't mind some of them. The first ever 'celebrity' perfume I bought was Curious by Britney Spears, when I was around 14/15 years old, I was addicted to the stuff and it became "my scent". Every birthday/Christmas, i got some and to this day I still have a bottle still unopened! Before I carry on, this sounds like a lot of 'Celebrity Perfume' by I do actually have branded stuff.. but that is not what the review is about! The next celebrity perfume I tried was in 2011 and it was Katy Perry's Purr. This will always be one of my favourite perfumes of all time and throughout my years studying at Uni, this was "my scent", it just smells so yummy! The next Celebrity perfume was FAME by Lady Gaga. I really do like this perfume and it is my go to perfume at the minute. I have two bottles of the stuff as they were Christmas/birthday gifts again - expect a full review of that in the future! Look at me branching out and doing something other that review after review. GROWTH! Anyway, on my travels I heard about Katy Perry's third perfume (her second being Meow, the sister perfume to Purr, which i still need to try!) called Killer Queen - as soon as I saw the advert for it, and being a fan of Katy Perry, I knew I had to give this a whirl! So, I trotted off to Boots and sprayed some and went for a walk to see what it smelled like on my skin after a few hours - and as you can probably guess, I liked it! This post is slightly different than usual.. i'm talking books! Over the last year or so, I have been reading more and more, and my recent love is John Green. I fell in love with his writing style after reading The Fault in our Stars, and quickly snapped up another book by him as soon as I finished it, named Looking for Alaska. I'll try and include the least amount of spoilers in this post as I can!